The entrance hall leads to a living room, dining room and kitchen. This one is fully equipped: oven, microwave, gas hob, fridge and freezer, dishwasher. You will have reversible air conditioning throughout the villa. Outside, the garden is perfectly landscaped. 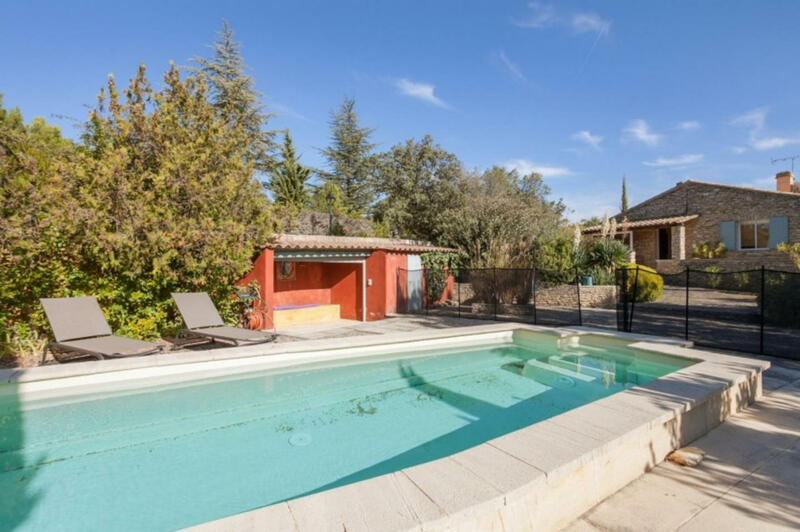 Swimming pool with deckchairs awaits you for multiple sunbathing sessions! A summer dining room on the terrace overlooking the walled garden will be the key place where you will spend most of your time, between family meals and a short break for a book. It is a real pleasure to stay in this Cozy villa which has no opposite. The little extra, there is no access to the internet, enough to spend a totally disconnected stay and that... it's priceless ! 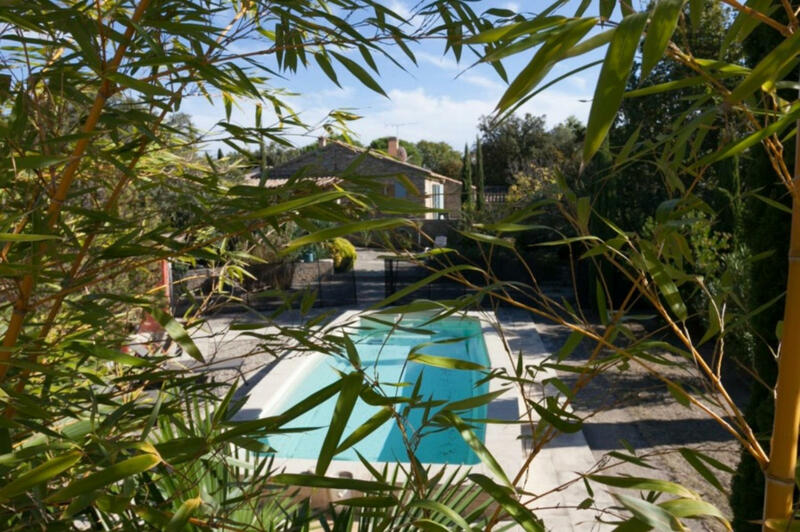 Philippe will welcome you upon your arrival in Cabrières-d'avignon not far from the villa and will accompany you to the villa La Cozy. 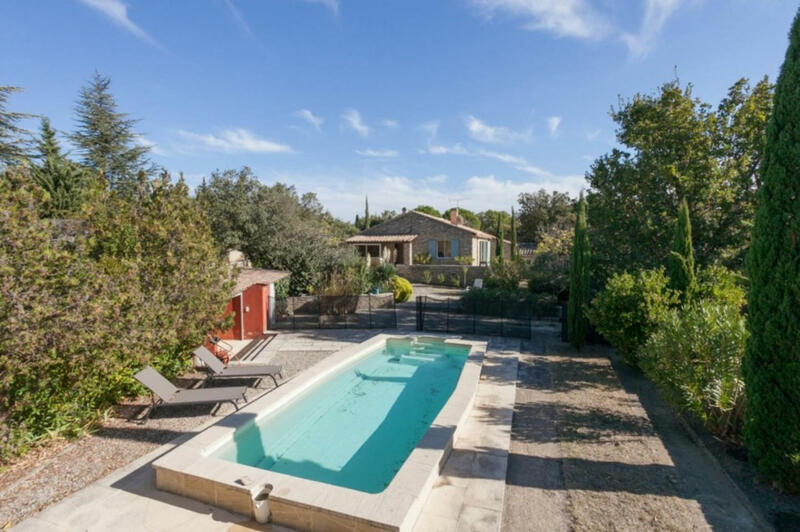 Located in the heart of the dry stone country, Cabrières-d'avignon is a very charming village that has no shortage of picturesque scenery and has kept its authentic character. In the countryside surrounding the village, you will come across some Bories, a kind of old peasant dwellings dating mostly from the 17th and 18th centuries. A nice walk is to be taken along the infamous 27 km long Mur de la Peste, built in the past to protect the inhabitants of the Comtat Venaissin de la Grande Peste which struck Marseille and part of Provence inYou can also enjoy a magnificent forest of 5 hectares of large cedars planted in 1860. * Security deposit: € 1500.00-After completing the reservation the security deposit amount will be blocked in your credit card.